Benefit is probably a brand you already know, and a brand I've personally trusted and loved since they first launched in Singapore! 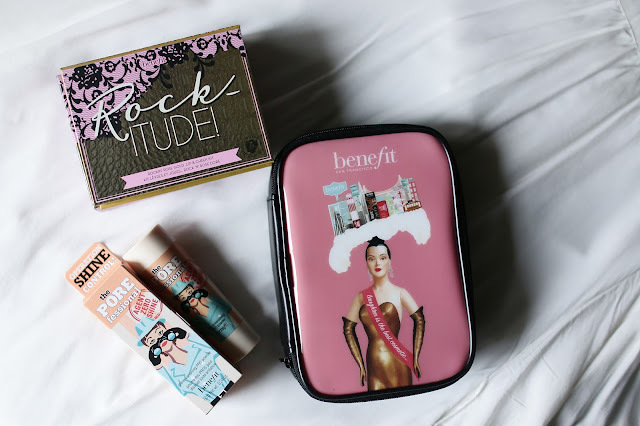 Not only is Benefit's packaging fun and quirky, the approach in which they take towards makeup is also along the same lines : Benetint, a tint you can use for both cheeks and lips, to a mascara named 'They're Real!'.. They've got everything you need for a flawless finish. Now they're also on Luxola, so if you're more of an online shopper like me, you can easily shop Benefit from the comfort of wherever you may be - Enjoy free shipping on orders $40 and above, or even next day delivery! I opted for these two items, some products new to me, some already long time favourites. High Beam is a little shiny for the day time, but it's PERFECT for a glowy complexion for the night. Apply it on all the areas you wanna highlight, like I usually do on the highest part of my nose, forehead and chin. It's the first time I tried Rockateur's Ultra Plush Gloss and Famously Provocative Cheek Powder and I gotta say I LOVE 'EM BOTH!!! 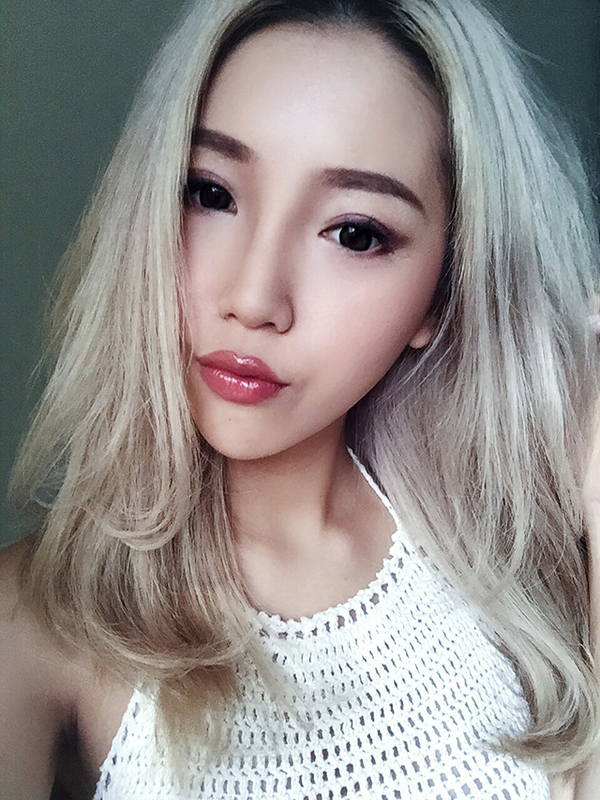 They add a very nice sunkissed look to an otherwise boring makeup routine... The gloss glides on easy, lasts a long time and is the perfect shade of pink-brown. 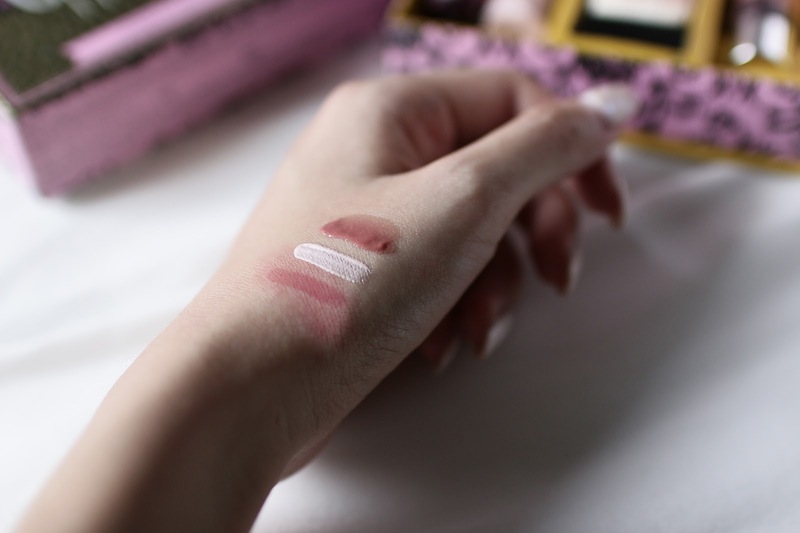 The cheek powder looks great on top of my usual pale pink blusher. From left to right : Benetint, High Beam and Rockateur Ultra Plush Gloss. As you can see, Benetint doesn't stay in one place, so you gotta be quick to blend it in! Seeps in to every pore giving it the perfect colour. And the other product I picked because I've been having extremely dry skin lately, with my skin try to compensate for it by producing more oil (ARGH) so I really need something to get rid of the shine coz it gets SO shiny by the middle of the day. PORE-fessional : Agent Zero Shine gives you smooth, shine-free skin with just a twist, tap and sweep of its built in brush. The powder worked really well for me and I love that the packaging makes it SO easy to give myself a touch up on the go! Here's the look I created using a mix of all the products above and my usual makeup! Be adventurous and have fun with your makeup!